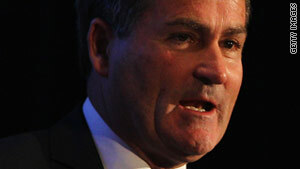 Richard Keys said it would be impossible to continue without co-host Andy Gray. (CNN) -- A soccer presenter who made sexist remarks about a female match official resigned from Britain's Sky Sports on Wednesday, a day after the co-host with whom he made the remarks was fired by the network. Richard Keys, the commentator who resigned Wednesday, had been overheard disparaging assistant referee Sian Massey, saying women don't understand the offsides rule, in conversation with fellow commentator Andy Gray. Sky Sports terminated its contract with Gray on Tuesday, citing "unacceptable and offensive behaviour." "I am deeply sorry for my remarks and the offence they have caused," Keys said in a statement Wednesday. "It was wrong and should not have happened. I have thought long and hard and reached the decision that it is time to move on." "Going forward without Andy would have been almost impossible," Keys' statement continued. Massey made a controversial call on Saturday during a match between Liverpool and Wolverhampton. A replay showed she was right. The offside rule limits attacking players from going past defenders when the ball is kicked and still being involved in play. "It is disappointing that Richard's career at Sky should end in these circumstances," said Barney Francis, managing director of Sky Sports, in a Wednesday statement. "However, Richard recognizes that his comments at the weekend were unacceptable." Massey has been a referee at international matches -- the highest level of the sport -- since 2009, world soccer's governing body FIFA says. On Wednesday, Keys said in a radio interview with a British radio show that he had called Massey on Sunday to apologize on behalf of himself and Gray. "I expressed my disappointment that Andy and I, in misguidedly having a little fun, had got it wrong," he said in an interview with the broadcaster TalkSport. "There is no excuse anywhere for anybody to make a judgement on someone else's ability to do a job because they are male or female." "I made it an official apology, which Sian accepted," Keys said. "She and I enjoyed some banter together and we left on very good terms." Massey said he was prevented from disclosing the conversation with Massey, though he did not elaborate. In its Tuesday statement about firing Gray, Sky News said the move was made "in response to new evidence of unacceptable and offensive behaviour... relating to an off-air incident that took place in December 2010." The statement did not elaborate on the December incident. More than 800 women are qualified to be referees in England, the country's football association said Monday added, saying "all of our female match officials act as fantastic ambassadors for the game."